Every carpet needs to be professionally sanitised in depth at least twice a year, besides the vacuum cleaning on a weekly basis. To have ideally maintained carpets that will serve you for a long time, turn to our company and book our professional carpet cleaning services. We offer cost-effective and trustworthy carpet cleaning service in and near SW2 Brixton, suitable for domestic and business estates. 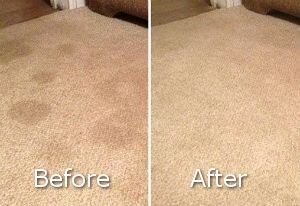 Let our team of professionals take care of your carpets and you will be more than pleased with the results. We work from Monday to Sunday with no change in the price for weekends appointments. Our mission has always been to satisfy as many customers as possible. 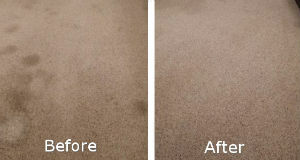 This is why we have worked out successful strategies which help us clean carpets of any type without breaking a sweat. We always work hard till we provide the most satisfying outcome possible. Place your trust in us just like hundreds of other customers already did. If you rely on our staff to sanitise your carpets, they will remove the dirt, allergens, stains, dust mites and other impurities which have build up. Making use of effective cleaning methods and the latest machines that are designed to sanitise carpets professionally, our cleaning workers will restore your carpet to its original condition. They inspect the carpet closely, then use proper detergents to remove the smudges and dirty spots from it. You can also find us in Brompton, Chelsea and Earls Court. After vacuum cleaning your carpet, our staff apply a dry cleaning or hot water extraction method, depending on the fabric. Book the carpet cleaning service of our company which is available in SW2 London and we will make your carpets look impeccable. The steam cleaning which we provide is done with specialised machines and soft cleaning solution which is injected into the base of the carpet. After a while, our cleaning technicians extract it along with the soiling, impurities and up to 95 percent of the moisture. 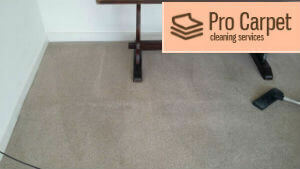 Dry cleaning is done with powder that our staff spread in the carpet using machines with brushes. Then the carpet is deeply vacuumed till all those impurities are a thing of the past. Every carpet is deodorised after the cleaning session. Our cleaning sessions are extremely effective and quick. Give us a chance and we will prove to you that we are without a rival in Brixton. ﻿Experts advise having your carpets professionally cleaned at least once per every 6 to 12 months. Do not waste more precious time and establish a contact with our company today. We will send our best cleaners to your property and a few hours later, you will have your carpets deep and spotlessly clean. We are open Mondays through Sundays. We do not charge for weekends appointments and we can be booked on bank holidays, too. Our carpet cleaning services are available in SW2 Brixton and our rates are not crippling for your wallet. Call us soon.